Vaccination is the process to invoke the immune system of an individual by giving vaccine which is an antigenic material to presist or resist to a pathogen. Vaccination is also termed as Immunization. This vaccination process increases the ability of immunity of body to fight with infection. Vaccination i s the effective way to prevent certain diseases. Most of the vaccines contained dead or weak germs, these are in inactive (non-active) forms. These vaccines are consumed by oral or through injection. Vaccination is the most effective way to resist from certain diseases and infections. Nowadays we can't see much peoples that is affected with polio. This is because we are giving vaccines to increase the ability of our immune system to resist against its pathogens. In such a way all vaccines contained dead or weak antigenic materials these become active when any of the infections affect us and it fight with them and increase the our immune systems ability to resisit the pathogen. Influenza vaccine, HPV vaccine, chicken pox vaccine, Polio Vaccine these all are the examples for vaccines. Fayth Clinic Mumbai is a reputed centre for Vaccination and Health care services in Mumbai and is also an ISO 9001:2008 certified Multi Speciality clinic. 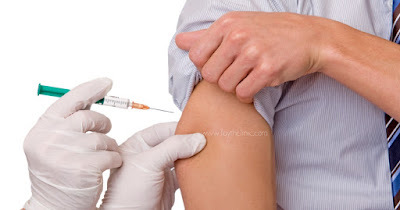 We offer the best Vaccination services and packages in Mumbai at an affordable cost. Remember one thing Vaccination is the most effective way to prevent some infections and diseases. So don't be late to vaccinate. Fayth Clinic in Mumbai provides the best vaccination packages in Mumbai with better care and service. Check out our new discounted Vaccine packages and make an appointment with Our Clinic.